A Chinese company came under fire after donating 20 cartons of beer to a starving Kenyan village. The company also offered food aid including 300 bags of corn and 20 cartons of cooking oil. 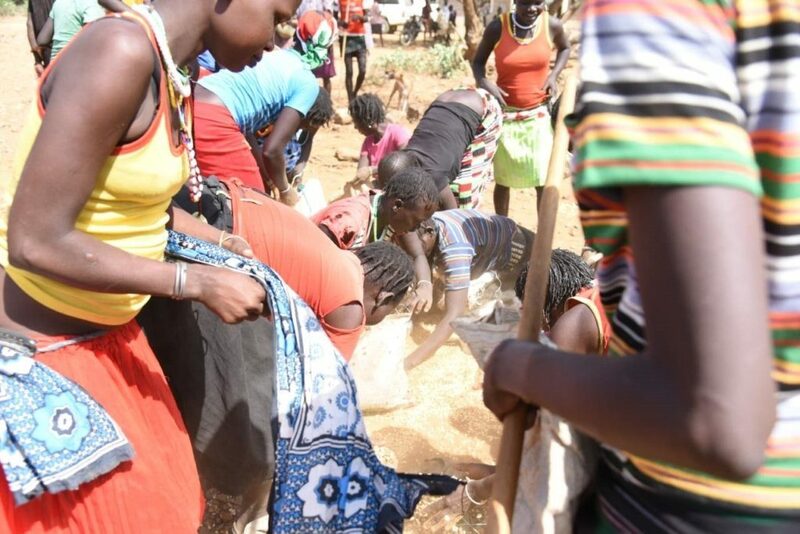 The donation of the Ghuanshan International Mining Company Limited, made on Friday last week, in Katikati village in Tiaty sub-county, Baringo, was greeted by villagers who tore up many bags during a race for the Tsingtao beer brand, reports Kenyan local press The Star. “The people of this region love alcohol and I have seen fit to include it in food donations to the villages ravaged by hunger. 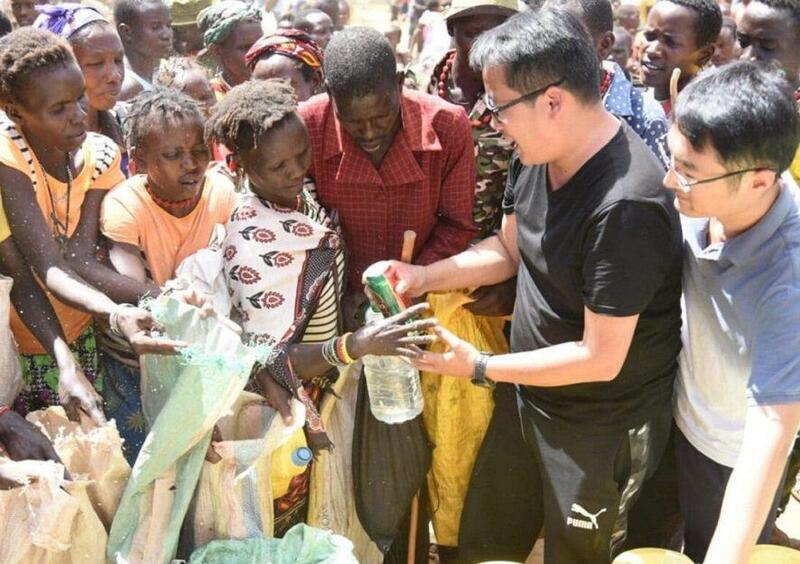 We also donated more than 300 bags of corn and cooking oil,” said the director of the Chinese company Han Ke, quoted by Nairobi News. The company intends to install a diatomite plant in the area and has decided to undertake this donation as part of its social responsibility to the starving kenyan village. However, religious groups and health authorities have condemned the donation that was made in the presence of the MP for Tiaty, William Kamket. The SDA Church accuses donors of having benefited from the suffering of the people. 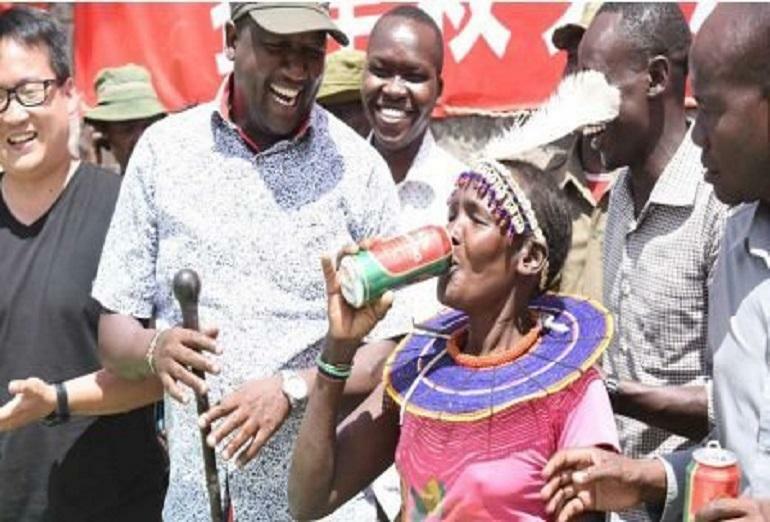 “We are troubled, as a church, by the fact that supporters have chosen to take advantage of Kenyans who are hungry to give them alcohol instead of giving them food. We condemn such acts and insist that if you seek a solution to their problem, give them something to eat,” Anita Too said. 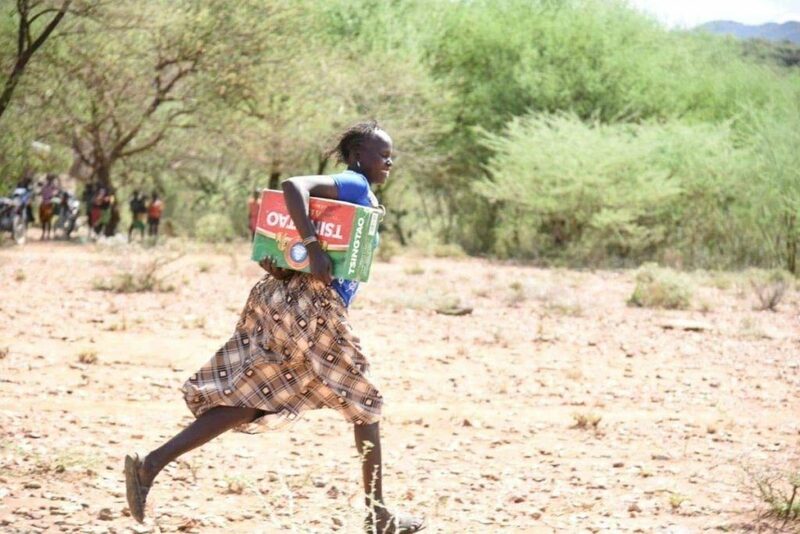 “There are children who are malnourished in the area because of a severe food shortage and instead of giving milk, you decide to give them beer. We believe this choice is insensitive to them, given that they are ready to invest in this area,” she added. Kenya’s public health director, Dr. Kepha Ombacho, told Star News that the move is dangerous. “It’s simply unacceptable. Beer is not food. You can not give alcohol to people who are already starving. We welcome people of good will, but the food offered must be fit for human consumption,” he added. On social networks, Internet users also expressed their indignation, condemning the decision of the company to add beer to its food aid to starving victims. Surely how will somebody with sound mind donates alcohol to starving people??? it is totally and utterly immoral and unacceptable in any society!! The essence of beer is to make one temporarily forget their problems.Thanks to Tsingtao beer the starving tiaty people might have slept like https://t.co/Sp5sDopOa0's now upon the leadership of tiaty to follow it up with foodstuffs. But what is worth noting is how they sat to watch the scramble unfold. Why should a country's leadership allow hunger to reach such levels that portray such indignity? And heck! People are laughing about it.